I don’t know about you guys, but I personally am not very keen on love triangles and I’ve never was. Most of the times they make my head spin and leave me frustrated. There was only one love triangle I tolerated, but to be completely honest, I never even considered it a love triangle to begin with *coughTwilightcough*. So what about you? If you do like love triangles, are you starting to reject them? Do you love them or hate them? Let me know in the comments. 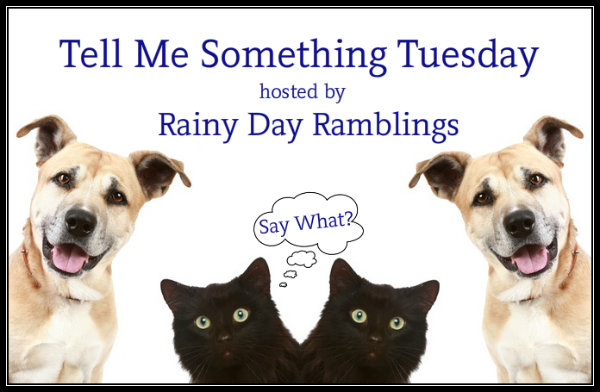 This entry was posted in Books, Romance, Tell Me Something Tuesday and tagged Love Triangles, Romance, Tell Me Something Tuesday. yeah, they can get ‘old’ very fast…..didn’t mind the Jack Hyde thing in FSOG ’cause he wasn’t a lover, well, maybe in his own twisted mind, but I would rather have a villain than the triangle ……. As much as I tell myself that I don’t really care for love triangles, a good number of my favorite books are. Thoughtless (SC Stephens), Collide/Pulse (Gail McHugh), Arsen (Mia Asher) are just a few. If it’s done well, gives me a pretty clear picture of who to root for and doesn’t leave me throwing my Kindle when it’s over then I’ll keep on reading them (based mostly on trusted reader recommendations). Those are my favorites! Im a fan of love triangles. Thats true story because people can make mistakes, nobady is perfect in this world. *spoiler alert* I just read Consolation and although it doesn’t start out as a triangle…the cliffhanger!!! I can’t wait for the sequel. In general I’m ok with a triangle. I guess it depends on the story and the “why”. Triangles are ok, as long as the “other” guy gets a girl too, (hello, twilight), The “Avoiding” series by K.A. Linde, drove me batshit crazy! I loved it and hated it, and couldn’t put it down. By the end of the series, I felt like I had a split personality. Tarryn Fisher’s “The Oppurtunist, Dirty Red, and Thief, are a good example of the “other” woman being a villain, it was easier to read, and didn’t make me want to punch the wall. It just depends on the story and characters. Sometimes I’m on board with them, and others……….not so much. If it adds to the plot, then I love them and wouldn’t complain.